Imagine your heart wanting to protect Jesus. You’ve been with him for so long now. You know, love and treasure Him. He is God. Jesus cannot be harmed by common men who aren’t God. You must protect Him. You must keep Him from harm. He must remain with you. You’re only trying to help. You’re only trying to save Him. You’re only trying to preserve Him from harm. You were a stumbling block. Why? You had good intentions, but you injected yourself where you weren’t invited to intervene. The plan was owned by Father & Son , not Father & Son + disciple. We can do the same thing in the lives of those we love. The plan is between Father & son or Father & daughter. 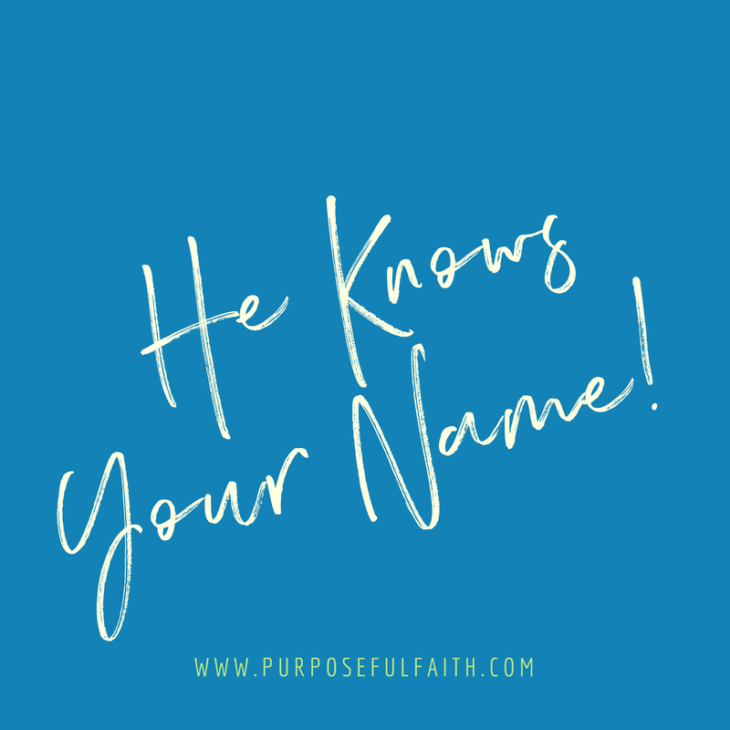 Yet, we weasel our way right in, saying, “Nope this right here is about Father & Son + me + my opinions + my fear!” We take out our chisel and crack into God’s good plan. Woe to us who break what God is building in others. 1. Tell people what to do. 2. Decide how people should think. 3. Instruct people based on our opinions. 4. Try to run in and fix bad situations. 5. Demand others think well of us. 6. Rescue people from their feelings of sadness, loneliness, etc. 7. Excuse away people’s issues, rather then letting them confront them. I assure you: when a lesson is delivered by us, it’s forgettable. But delivered by God, it is unforgettable, undeniable and unbelievably life-changing. Let’s make room for what God is doing. He has things handled. I love that I love each of you. I also love that as I love you, I get a chance to learn who you really are. You send me emails and thank yous and little stories of the giant hurdles you’ve made in life. And yes, even though you call them small, God and I know they’re giant. You all are great. You make me smile. You make me shed tears. You make me pray. And while I can’t always respond to every email via the computer I always try to respond with God. I ask him for the best for you, for your situations and for your heart. I ask him to show his lavish love in your life. You are amazing. You gift me a lot more than I gift you. Daily, so many of you give to my heart. Quietly, I know others inwardly offer up thanks. Readily, I know there are prayers going out for the wider community of gals who read these words. 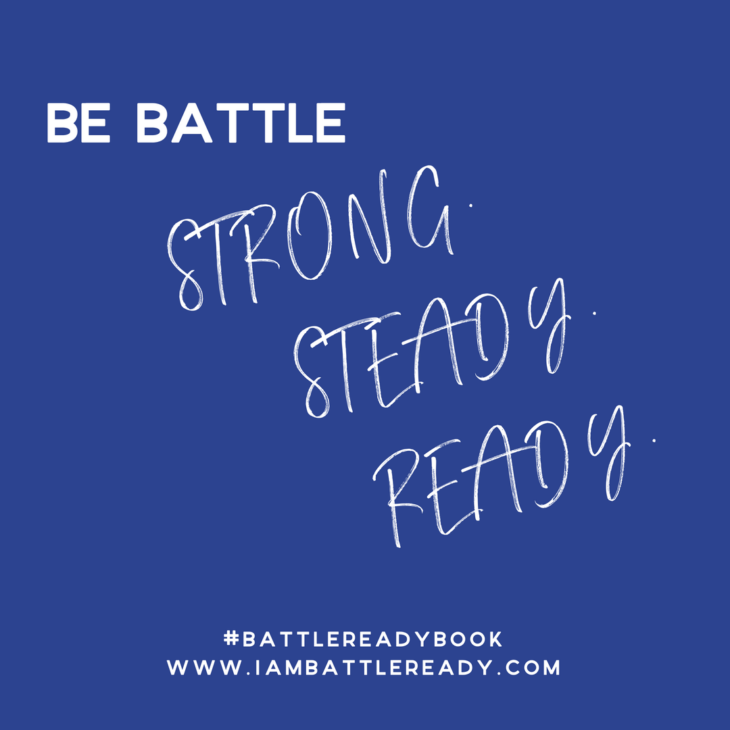 To know we are fighting together, battling through our hang-ups, and sticking to the King of Kings on this road is beyond helpful to my heart. We rage on – in love. I once thought this blog was about me “getting my healing.” Now I know it is about all of us “becoming healed” and supporting each other along the way. Thank you for helping me realize I need you just as much as I need God. You are often a vessel for His voice. A voice of encouragement that pops up via email at just the right time. A prayer note that I needed. A living testimony of what you are reading. All glory to God! He is working right here. We read and write only holy ground, together. And I love it! I cherish it. I rejoice in the fullness of what He has prepared for such a time as this. While social media rages with hate, anger and dissension, we pull together in love. We smile and keep on with Jesus. We do our part to do our best to change our little slice of the world one small act of love at a time. I am grateful for you. I want you all to know that. God has given me so much in this community of lovers. I praise Him for you today. My prayer for you: Sweet Jesus, thank you for the reader of this post today. Thank you that you see her heart. Thank you that she pursues, loves and follows you. I ask you to open every door unto her, so that she can meet and know you with immense passion. I ask that there would never be a question in her mind as to how much you love her. I ask that there would never be a question in her mind about how immensely loved she is. I ask for an increase of your heart on this very blog that reaches hearts day-in and day-out. I ask for your activating faith to pour out on every reader in profound ways in the coming days. I ask for your will to be done in all ways. We thank you Jesus. Amen. I remember sitting on the beach, watching a man who owned the water. Unlike the lady I watched five minutes before, he ran up to the gigantic waves and dove straight into them. He didn’t inch forward with trepidation. He didn’t put his arms out to balance. He didn’t look back to his wife beach-bumming-it on the sand. He owned that water. He went in, looking far stronger than the waves. I couldn’t help but think his water-approach said much about our spiritual life approach. When we walk out on the world with the confidence of God, we aren’t easily knocked over. To say, “My heart is confident in you, O God” (Ps. 57:7) is the equivalent of saying, “I can run up to that 6-foot wave and dive right into the middle of it and be fine.” Why? Because God is greater than any force that wants to pummel me. Nothing can eat me alive. To say, “This I know: God is on my side” (Ps. 57:9) is to silence opposition in just eight words. Distraction and irritations lose their effect. If God is for me, who or what can be against me? To say, “God will fulfill his purpose for me.” (Ps 57:2) is to dismantle doubt. God will do what He purposes to do. 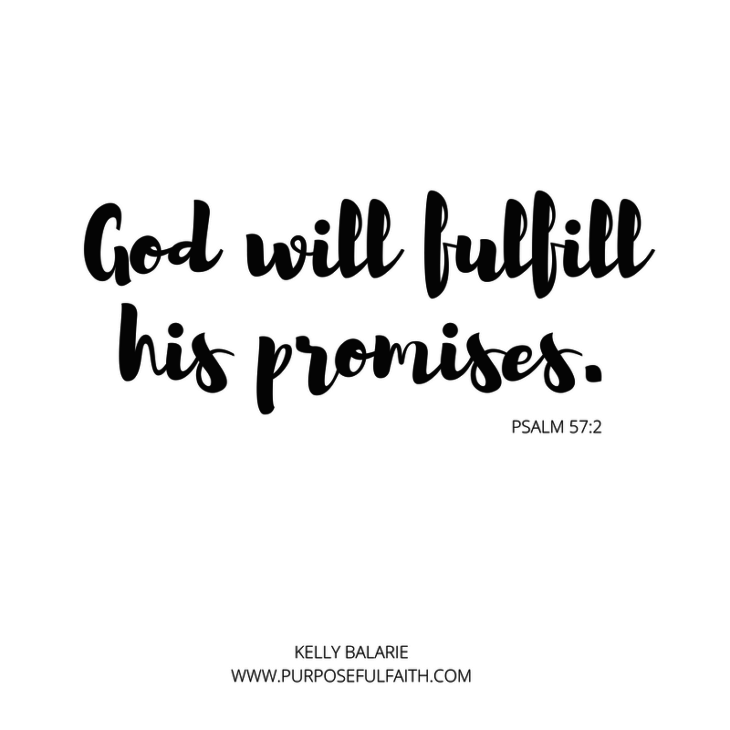 To say, “All the Lord’s promises prove true” is to walk fortified with the solid rock of Christ in you. All that God says is real and God really is good. How will you approach the waves of your life? Ready to be tossed around or ready to thrust right through them? There’s this small activity I’d love you to join me in doing. I believe it will bring a huge smile to your face and your heart. Will you indulge me for a moment? Think all the way back to the moment right before you were saved. Was it 10 years ago or 10 minutes ago? Think of that old you visiting the new you today? What would she notice about you? 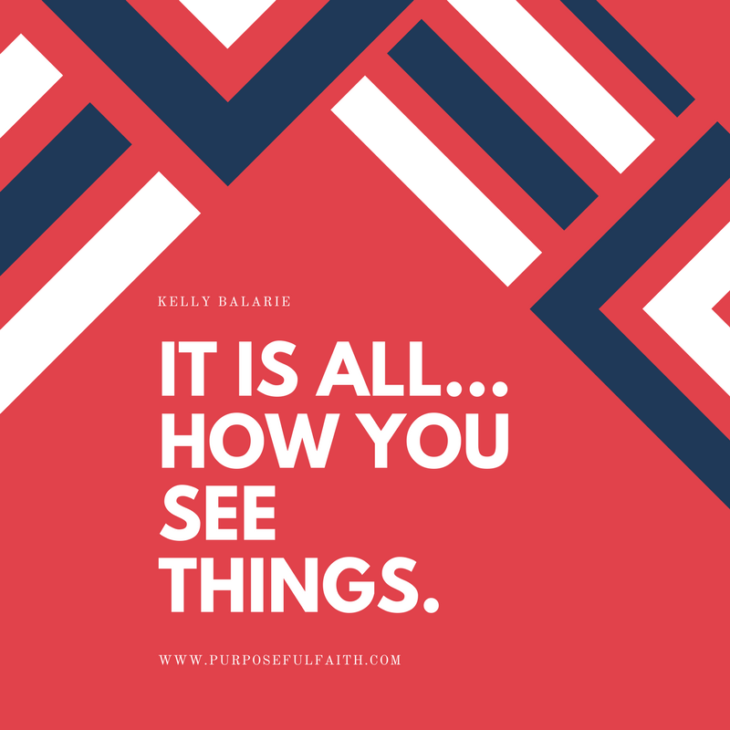 About your life, attitudes, and perspective? About what God has done? What he has given you? Note how far you’ve come. How faithful God is. All the small things you take for granted. We usually can’t see what’s behind us. This means while we’ve run 10,000 miles, we usually keep our eyes stuck on the ten feet we’ve got to go, rather than the 9,990 miles we’ve come. We forget to celebrate the goodness, the providence and the wonderfulness of God. I believe the Lord delights when we stop our race for just a moment, set down our plans and celebrate what He’s done. He’s done a lot, hasn’t He? In so many ways, He’s filled our cups, hasn’t He? Beyond measure, He’s done a good work, hasn’t He? He’s gotten us out of trouble. Take note of all that God has done. My tracks tend to be on auto-pilot. What about yours? 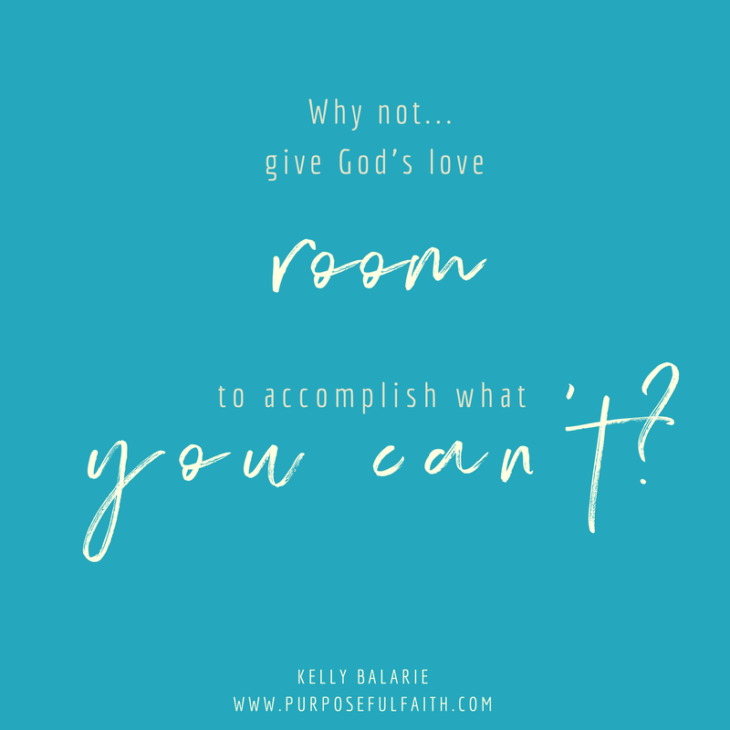 Routinely, I’m interested in what I need to get done, who needs help around me, and what tasks need to be accomplished for the family and God. The order of our day does matter. Our priorities reflect what we believe about our identity. His identity was: A Rule-Follower. Jesus replied, “There is still one thing you haven’t done. Sell all your possessions and give the money to the poor, and you will have treasure in heaven. Then come, follow me.” (Lu. 18:22). 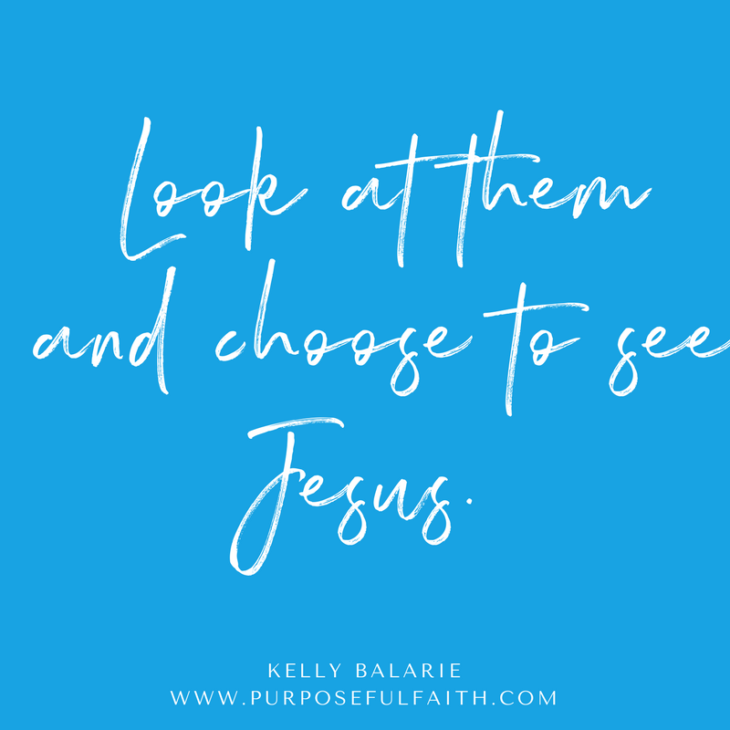 Yet, as we let other treasures cloud the treasure found in following Jesus, we start to believe we: must work hard to be loved, follow every rule, do more to achieve eternal glory, look good to man, and get everything done in our day to be successful. Where is your treasure? Is it in following and staying close to Jesus? Or is it in doing stuff, accomplishing more, and keeping up with the world in order to stay protected and safe? What is the one thing that tends to distract you from following Him? The best lovers of Jesus are the best releasers of what they hold tight to. The more they let go and cling to the robe of Jesus, the more they find their world healed by His love. They follow Him at all costs. They find treasure. just as in fact you are doing. Now I call it the curse of the capable. Because you don’t need help, you won’t get any. I’ve seen this curse play out a dozen different ways since then. For example, my husband and I are both independent people, and while we love to be together, we don’t always need each other. That can be good sometimes because I don’t have to wait until the weekend change a smoke detector battery or kill a spider. It can be a bad thing, however, because it’s easy for independent people to grow apart. We have to be careful about noticing when we’ve drifted and come back together. I have also seen the curse among women. I am a natural born encourager. I use phrases like, ‘to die for,’ or ‘phenomenal’ when I’m cheering for you. I’m the friend that will literally jump up and down screaming when you share good news. I like to think I’m the ‘there for you’ friend in good times and bad. 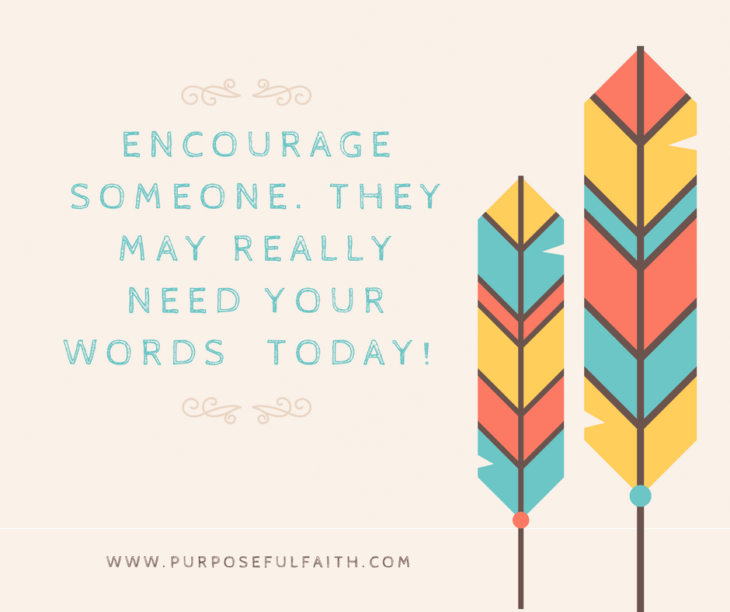 The problem I have seen is that as a natural encourager, it’s often hard to find encouragement for myself. On the outside, it can appear as if I am confident and capable, therefore I don’t need anyone to build me up. Inside though, I am still the little girl thirsting for comfort in an arid desert. I have come a long way in this area. I found Jesus later in life and knowing I have his never waning encouragement is the most phenomenal comfort of all. But I have to admit that I still think it’s nice to get some affirmation from friends, family, and community. If you are independent or competent, you may be under the curse of the capable. Maybe you are an encourager that needs to be affirmed or a mom who could use a reminder that she’s a good one. Perhaps you are a leader who would love some help but feels bad asking for it because you ‘should’ have it under control. Take heart, friend. As someone under the curse myself, I see you. I think you are doing a great job! I want to invite you today to take a minute and think about someone in your life that could use a little boost. Even if that person seems like they have it all together, a quick note or message from you may be what she needs most. When we take the time to pour into others, the curse breaks and being capable becomes a blessing. Father God, you are the ultimate encourager. Please help us to encourage one another regardless of whether or not we need it. Help us never to give up and to break the curse for people we love or admire and that in turn, it would be broken in our lives as well. Amen. Anne is a former sleep in on Sunday’s girl who didn’t meet Jesus until way later in life. 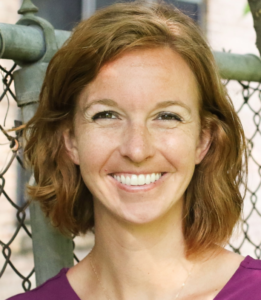 She recently quit trying to be holy, however, after spending an inordinate amount of time trying to shuck her unholy habits to fit into the Christian world. As a bullying survivor, Anne knows first hand the pressure to belong and why changing yourself doesn’t work. 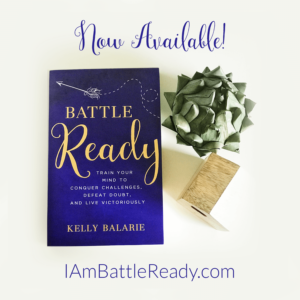 She now spends her time fiercely encouraging women to be badass for Jesus by being who God created them to be…themselves. 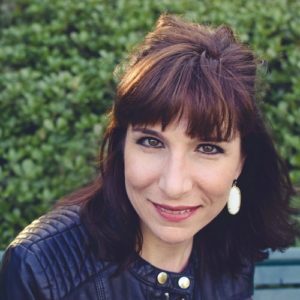 She is a writer, a speaker, and a podcast host for the Declare Conference. She and her husband are raising three hysterical kiddos and are also in the process of going broke while paying for college. You can find more from Anne on her blog, GodDots.com.